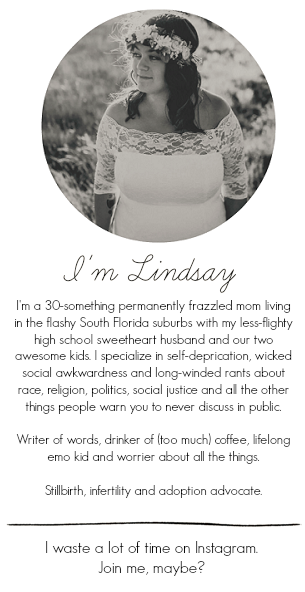 Ever stumble upon a product and wonder where have you been all my life? I'm pretty sure that's everyone in my house with our new Vapur Anti-Bottles. When people see Ethan drinking from his, we definitely receive a few frequently asked questions -- beginning with "what is that?" It's essentially a reusable water bottle that is everything a water bottle isn't. It stands when full and can be flattened or rolled up for easy storage. 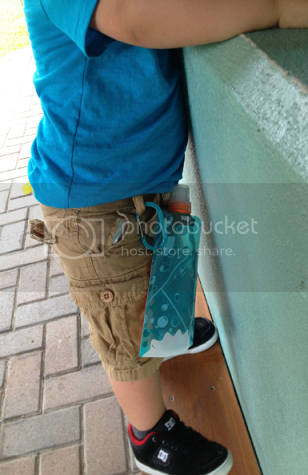 Ethan prefers to clip his onto his belt loop to carry around on our daily adventures, making it easy to keep safe and not lose. 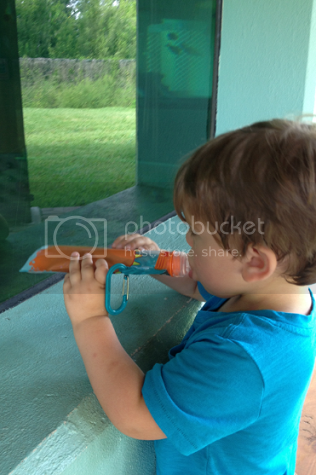 At two, Ethan is at an age where sippy or straw cups are a thing of the past. At home, he drinks from regular cups. This leaves us in a weird place when we're out and about, making it so I usually have to pick him up a bottle of water. Bottled water is bad, which I don't think is any big news or shocking secret. (I mean, 176 billion bottles of water are dumped in landfills or left to float in the ocean each year, which is a tragedy.) I feel guilty each time we bring home another bottle of water to be discarded as waste when finished. Obvious environmental reasons aside, bottled water is also clunky and I find myself awkwardly trying to figure out how to pack one in my purse or travel with it. (And then that awful moment ten minutes before you have to leave for swim class when you realize you don't have any more bottled water.) The Vapur Anti-Bottles have solved all of these problems and we've solely been drinking water from them since they arrived -- even at home. Our cups are feeling highly neglected, I would guess! I should also point out that since they arrived, we've been drinking a whole lot more water than previously. I'm a stickler for ensuring Ethan has a high water intake throughout the day but I could be better at making sure I stay hydrated. With Anti-Bottles being so easy to tote around, I've found myself constantly drinking more water throughout the day and I've noticed how much better I feel because of it. Like I said, these Anti-Bottles have been such a welcomed addition to our family! To give you some insight into what kind of company Vapur is, their products are manufactured in the USA and are BPA free. Anti-Bottles are freezable and dishwasher safe. Standing behind their commitment to the environment, Vapur donates 1% of their sales to water and environmental related causes. They also created a community-giving program called Drops of Hope, which donates thousands of Anti-Bottles to charity groups all over the world! 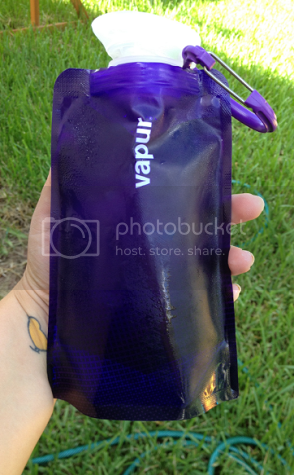 Vapur was awesome enough to send us "water bags" (as Ethan cutely calls them!) for the whole family. 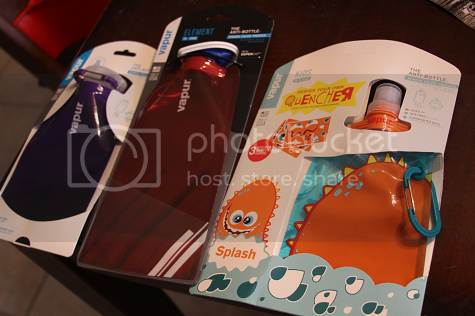 Vapur's line of Anti-Bottles for kids is called the Quencher which is a 14 ounce reusable bottle that is fully customizable. 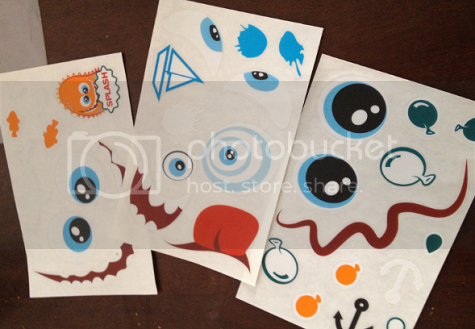 The bottles come with stickers for little ones to have a blast creating faces and designs on their Quencher creature. When Ethan was still a sippy or straw cup drinker, I would get frustrated by how little most of those cups hold (not to mention what leaks out in your bag before you reach your destination!). It seems we were always refilling them! 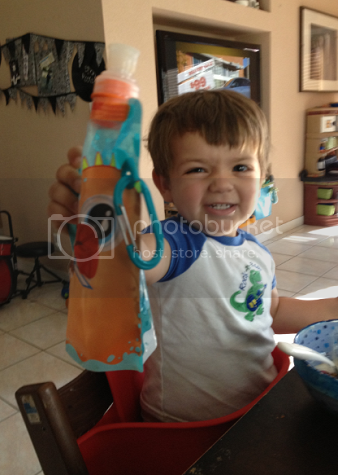 I love that the Quencher holds fourteen ounces of water, which is a much better fit for Ethan. Ethan's Quencher clips to his belt loop -- or stroller, as we discovered on one nightly walk -- and is way more portable (and harder to lose!) than your regular cup for toddlers. When finished, it's easy to roll up and store until it's time to refill. Ethan's Quencher Anti-Bottle goes everywhere with us and has the perfect "sip top" spout that doesn't leak at all when closed. 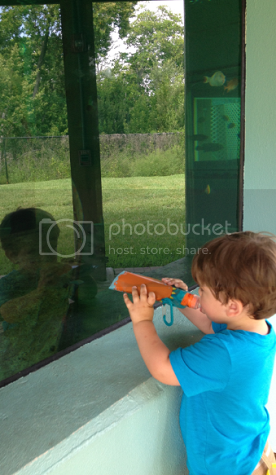 It's also easy to refill essentially wherever you go and Ethan really enjoys spotting water fountains to refill his Anti-Bottle -- without mess! 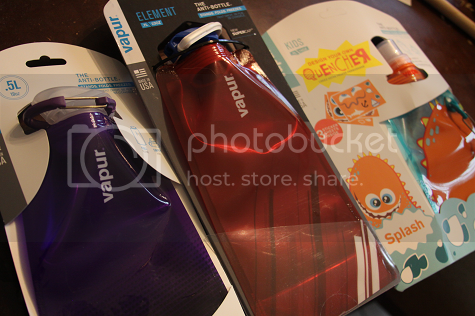 Vapur also sent us their 18 ounce Shades Anti-Bottle and their .7L Element Anti-Bottle. These bottles have a Vapur SuperCap which is really convenient when you don't have time to stop and unscrew and then re-screw a bottle lid. Aside from drinking from these bottles inside during the day, I've been taking my Shades bottle with me on walks and jogs. I'm not coordinated or an athlete, so I appreciate the easy SuperCap while I'm trying to just survive exercising! These bottles are so convenient to clip onto anything and they're also so convenient to even hold while running. The soft, flexible plastic Anti-Bottle is way more convenient to be holding onto than an awkwardly shaped, hard plastic water bottle. I also love that these fit in my purse when I don't feel like toting around a monstrous bag with me. Ethan has reinforced his own rule that whenever our Anti-Bottles are empty, they must be filled at once! I like the way he thinks. When the Anti-Bottles first arrived, my husband -- who is undoubtedly the biggest skeptic I've ever met for, oh, everything -- thought they might make the water taste like plastic. I admittedly wondered the same. Instead, the water tastes really fresh inside the Anti-Bottles -- way more comparable to drinking from a glass bottle than a plastic water bottle. Using water from a drinking fountain or from our refrigerator's water dispenser tastes crisp, clean and fresh each and everytime. The inner layer of the Anti-Bottle is also taste resistant and stain resistant, ensuring it can be used over and over again. We are entirely hooked on Anti-Bottles! 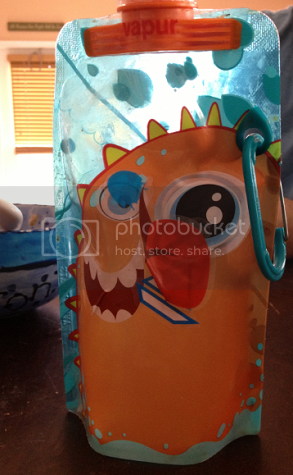 They're a fabulous way to stay hydrated and go green -- as well as give back to the community! WHERE TO BUY: Vapur Anti-Bottles are available on Vapur's website! Vapur has also kindly offered one of my readers the chance to win one of their Shades Anti-Bottles! I'm super excited about this giveaway and for one of my readers to have the chance to try out this amazing product that now we could never live without! I received these Vapur Anti-Bottles to facilitate a product review. No compensation was provided and all opinions expressed are completely my own. Wonderful giveaway! This would be perfect for our almost 2 yr old! 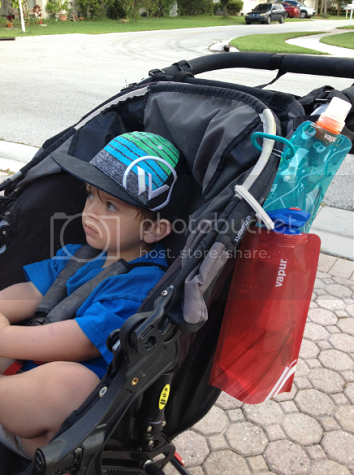 His camelback is just too akward for him to carry around! These look pretty cool. I love how they store flat! 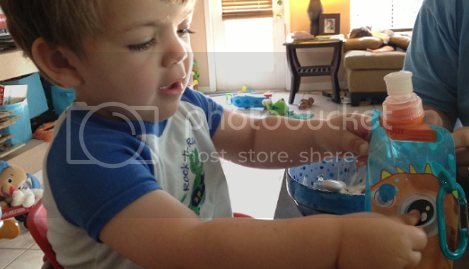 Right now we are at wits end with the avalanche of toddler cups from the cupboard. These look so neat. I went and ordered 3 last night lol. Thank you for hosting this contest! This is awesome! I hope I win this for my niece! I like the element bottles also! I like the kids quencher! I love that it comes in pink. I need that one for me! I love how compact they can get! That is awesome!! I love all the bottle design options for kids! i had no idea they were dishwasher safe. I love that these are great for on the go because when they are empty they don't take up much space. I'd like to try the eclipse bottle. 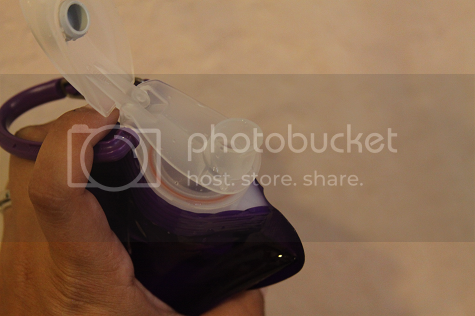 I love the clips on your bottles! I learned they are dishwasher safe! Perfect because I put everything in the dishwasher! I learned that they have free shipping on all orders over $50. I like the hot pink Shades bottle. I love how the bottles are proudly made in the U.S.A. kristiedonelson(at)gmail(dot)com Thank you.